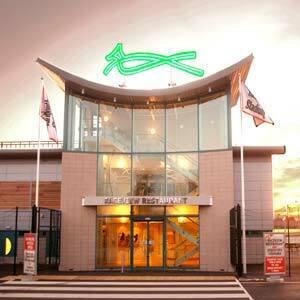 Yarmouth Stadium01493 720343work Corporate EntertainmentFor a fun night out with a difference, enjoy an evening at the greyhounds on Monday, Wednesday or Saturday evening complete with course television, tote betting in each suite and two or three course evening meal served to your table. Each lounge caters for 25 delegates or can be joined to the next lounge to seat 50 or a total of 75 people by joining all three lounges together. 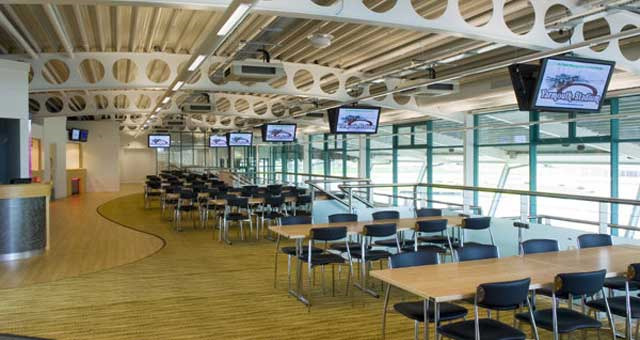 For larger corporate entertainment, the stunning first floor 200 seater raceview restaurant can be hired and used for corporate hospitality by your company. Please contact us for more information, hire charges and a price list. For a fun night out with a difference, enjoy an evening at the greyhounds on Monday, Wednesday or Saturday evening complete with course television, tote betting in each suite and two or three course evening meal served to your table. Yarmouth Stadium is fully equipped for access for the disabled. Mid week race nights are Monday and Wednesday starting at 6.30pm. Saturdays start at 7.30pm. Please contact the office for room hire charges and prices.